I have to say these look very exciting, although i'm not totally sold on having to charge my shoes! There really is some very clever and fun innovation out there at the moment for the footwear loving consumer. 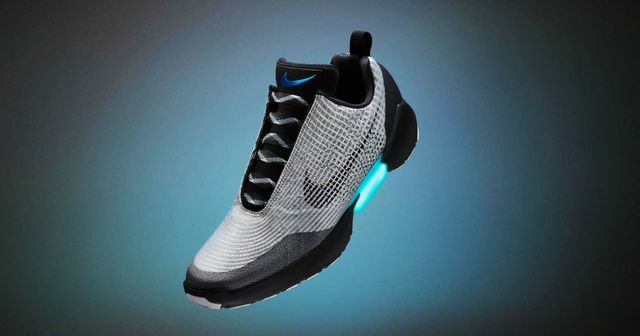 John Hoke, Nike’s vice president of design, explains that the shoe doesn’t use a traditional lacing system, but rather a battery-powered series of pulleys that cinch the throat of the shoe. When the wearer steps inside the shoe, sensors at the bottom register his or her weight and the position of the foot inside.